The guidelines detail the latest evidence for the measures that patients, surgeons and hospitals can do to prevent infections, such as quitting smoking (recommended), shaving the surgical site (not recommended, unless hair interferes with surgery) and showering after surgery (does not increase risk of infections). The guidelines, published in the Journal of the American College of Surgeons, are an update of previously published guidelines. First author is Kristen A. Ban, MD, a resident in the department of surgery of Loyola University Medical Center. Corresponding author is Therese M. Duane, MD, of the John Peter Smith Health Network in Fort Worth, Texas. 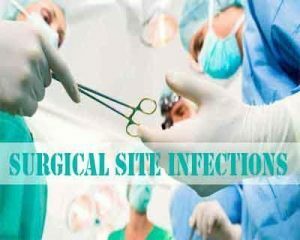 Surgical site infections (SSIs) include infections in the area of the skin where the incision is made, infections below the incision in muscles and tissues surrounding muscles and infections in other parts of the body involved in the surgery. SSIs are the most common and costly of all hospital-acquired infections, accounting for 20 percent of all hospital-acquired infections. They occur in an estimated 2 percent to 5 percent of patients undergoing inpatient surgery. The estimated annual incidence of SSIs in the U.S. ranges from 160,000 to 300,000, and the estimated annual cost ranges from $3.5 billion to $10 billion. On average, a surgical site infection increases the hospital length of stay by 9.7 days, according to studies cited in the guidelines. Smoking. Regardless of the type of surgery, smokers and former smokers are at higher risk for SSIs. Surgeons should counsel patients to completely refrain from smoking for a minimum of four to six weeks before elective surgery. Blood sugar. Short-term blood glucose (blood sugar) control before, during and after surgery is more important than long-term blood sugar maintenance. There now is high-quality evidence to support expanding blood sugar control to all patients, regardless of diabetic status. Topical and local antibiotics. Studies of individual procedures have shown promising results when using topical and local antibiotics to reduce infections, but large, randomized clinical trials of a wider range of procedures would be needed before supporting more widespread use or formal recommendations. Hair removal: Hair in the surgical site should be removed only if it would interfere with surgery. Shaving causes microscopic cuts and abrasions, resulting in disruption of the skin’s barrier defense against microorganisms. Clippers generally should be used instead of razors to remove hair. Antibiotic sutures. Historically, guidelines have not recommended using antibiotic sutures to decrease SSIs, but there now is considerable evidence to support their use. Surgical gloves. Surgical gloves can contain or develop defects. Double gloving decreases the risk of holes to the inner glove, so routine double gloving is recommended to protect the surgeon. Showering. No studies have shown a difference in SSIs between patients who shower as early as 12 hours after surgery and patients who delay showering for more than 48 hours. Early showering does not increase the risk of SSIs and can be encouraged at the surgeon’s discretion. Blood glucose control is now recommended for all patients, regardless of diabetic status. Adherence must be high to all components of SSI reduction bundles for there to be a benefit. With some exceptions, prophylactic antibiotics should be stopped at the time of incision closure. There still are areas of controversy, including surgical attire, in which there are not enough high-quality data to support guidelines.